Fashion with side of eco consciousness. 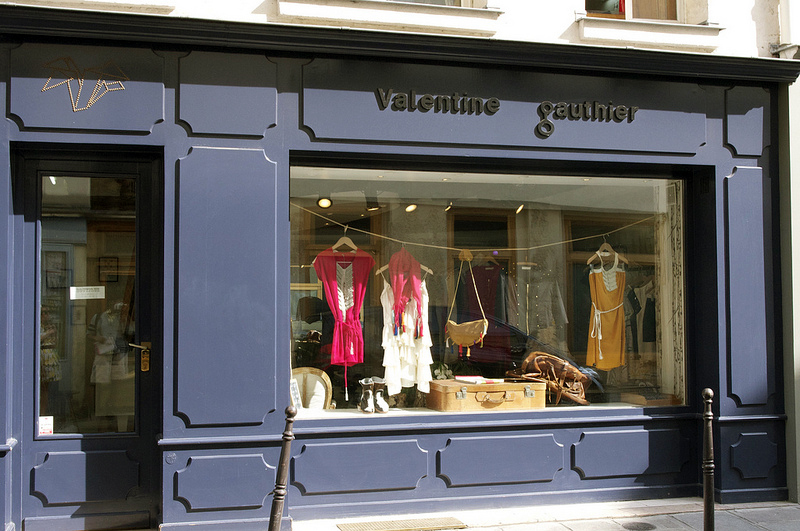 Valentine Gautier is a young designer making big waves among fashion lovers for her beautiful details and natural sensibilities. She clearly uses her degree in ethno-geology as inspiration for her inspired knits, and romantic boho style. You'll find pretty shapes in natural fabrics—which she happens to ensure are sourced from ethical places—with plenty of interesting details like feathers, fringe or her now notorious leather wings. The label is gaining popularity quickly as more hot retailers like LE66 are looking to pick up the collection each year, however a stop in the Paris shop is the way to go to experience the work the way Gautier intended it to look.